Feed the Tavernland and win the Princess's heart. If you like this free game, try Jo's Dream: Organic Coffee. Walking along a wooded path, Mary and her dragon Tobby notice three gunmen trying to extort a ticket to the royal ball from the Prince. Mary and Tobby quickly drive the robbers away. Amazed at Mary's beauty and bravery, the Prince makes her the owner of a small diner on the edge of his kingdom. Hoping to see her again, the Prince invites Mary to the royal ball and gives her his part of the ticket. Mary begins a new job, dreaming of getting to the royal ball as soon as possible. 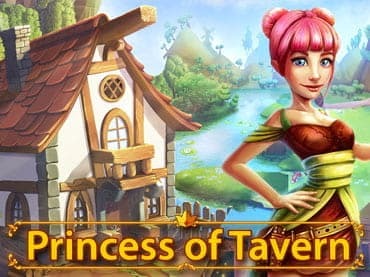 If you have questions about Princess of Tavern game, please contact us using this form.